If you are looking to rejuvenate your body and mind in the New Year, why not venture down to Costa Rica. 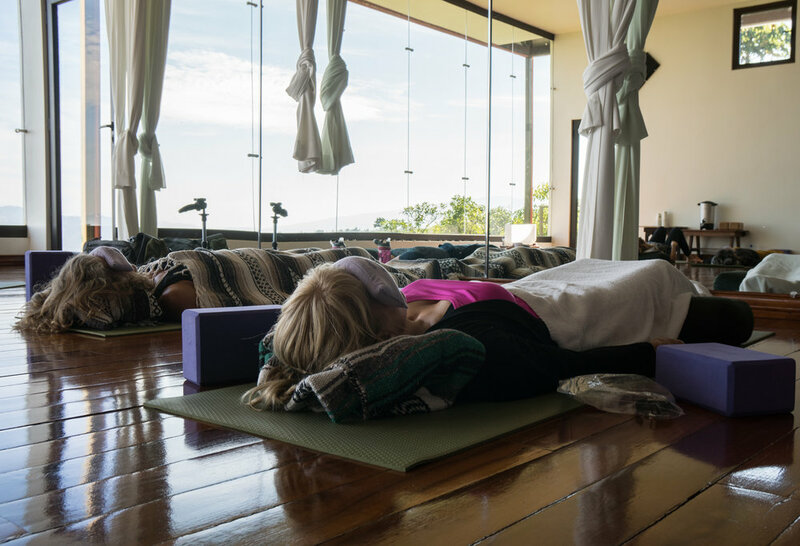 After the holiday crowds have left, the turkey and ham have settled and you are ready to start your new resolutions, why not start it with yoga at one of these top 5 yoga retreats in Costa Rica. This yoga retreat may be a little further into the New Year than the rest of our top 5, but it’s definitely number one on the list. Ayurveda, the science of life, provides suggestions for Spring cleansing and we’ve put them together to create a special opportunity for healing. For 7 nights immerse yourself in the rich, abundant surroundings and beautiful weather of Costa Rica while giving your body, spirit and mind the rest and rejuvenation it needs. Therapeutic yoga classes are accessible to everyone…no need to be a practiced yoga to unlock the your ability to move. Daily yoga nidra, delicious organic meals, optional spa treatments and excursions and lots of laughter will help you find a place of healing and peace. You will leave completely rejuvenated and ready to move back into your life holding on to the serenity you found while attending the Ayurveda Cleansing & Yoga Retreat. Hassle-free airport pickup and drop off-no from San Jose Airport matter what time your flight arrives and departs. Workshops focused on purifying the inner being, Ayurveda and cultivating self-acceptance. Optional spa treatments and excursions are offered daily. If you are looking to restore your body, inside and out, then the Blue OSA Yoga Retreat and Spa may be for you. The retreat takes place in the stunning Osa Peninsula and for 7 days, you will be able to fully immerse yourself in a deeper practice of yoga while nourishing your body with fresh, organic, farm-to-table meals. Are you looking to recharge you mind, body, and spirit through yoga practice, then Montezuma Yoga is where you want to find yourself this winter. After a busy holiday season why not look to immerse yourself in yoga, pilates and mediation practices, in beautiful Montezuma, Costa Rica. During your 7-day retreat you’ll restore and rejuvenate your body with two daily movement classes and two local and deliciously healthy meals. Vaira Sol Yoga offers a variety of yoga retreat experiences. From a pure yoga, yoga and surf, to stand up paddle and yoga, you’re sure to have an adventure in between your daily yoga practice on the magnificent beaches of Santa Teresa. Surrounded by wild jungle, white beaches and beautiful sunrises and sunsets, you will find the peace you lost during the busy holiday schedule. A single 1-hour relaxation massage. Pure Yoga participants receive an additional spa treatment of choice. This particular yoga retreat offers more than yoga. In the midst of your twice-daily yoga practice, you’ll also have the chance to take surf lessons and take advantage of the stunning Costa Rica beaches. And just when you thought it was time to go home, there is an option to extend your stay, considering this is a book it your way style of retreat. You can go now if you want and get a head start on the new you in the new year or wait until next December, it’s all up to you.